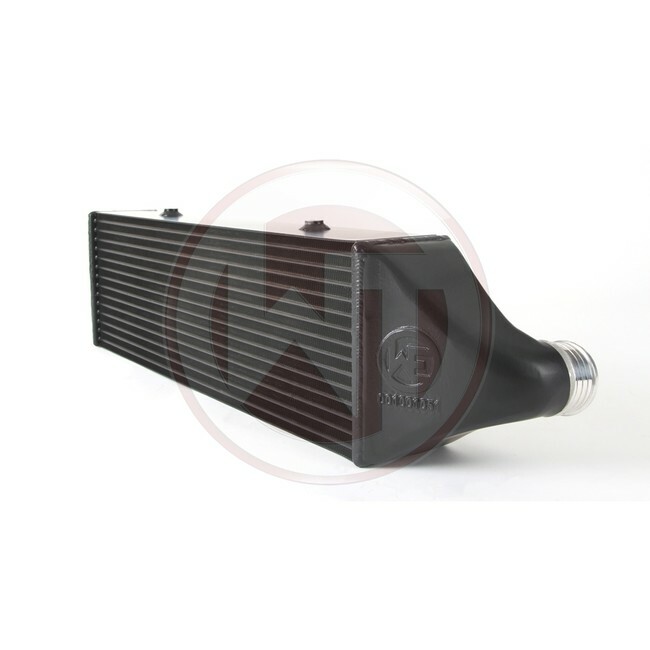 The competition intercooler has the following core size (640mm x 200mm x 110mm = 14.080cm³), providing a 24% larger frontal area and 60% more volume compared to the original intercooler. Our engineers have increased the intercooler core size and efficiency, as well as improved the end tank design to remove any OEM bottlenecks, resulting in increased flow rating and charge cooling properties. Competition Intercooler core with turbulators (weight: 10,5kg). Constructed of the highest quality Tube and Fin intercooler cores combined with cast aluminium optimised by CAD. Flow analyses and simulations were created to optimise the design for best possible Internal Airflow. 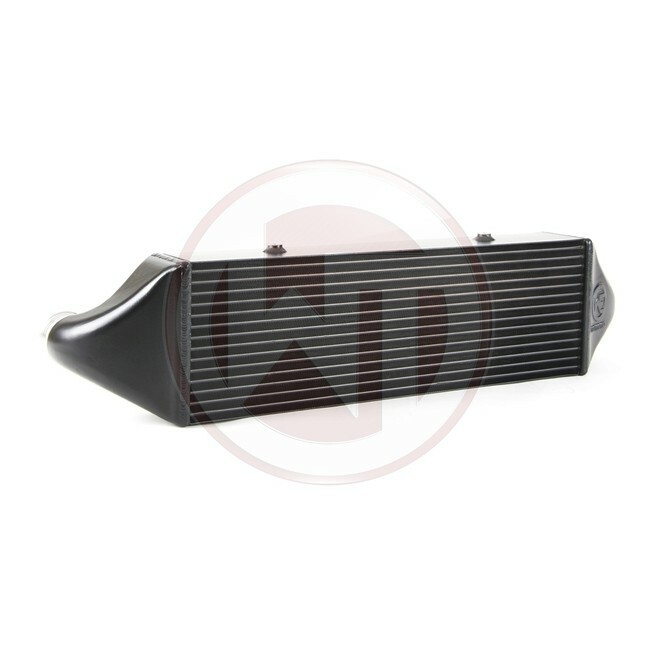 This intercooler is the best choice when it comes to performance gains and low intake temperatures. 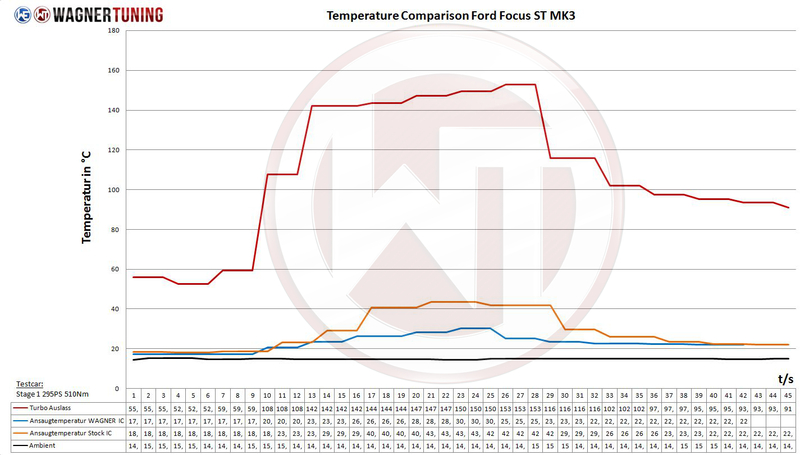 Much less pressure drop than the OEM Intercooler. Anti-Corrosion protective Coating with perfect thermal heat dissipating character. Optimal cooling with clearly more power. Kit is ready for installation (plug & play), using the stock plumbing. No cutting required. Fitment is easy, replacing the OEM intercooler. All of our products undergo rigorous quality control. 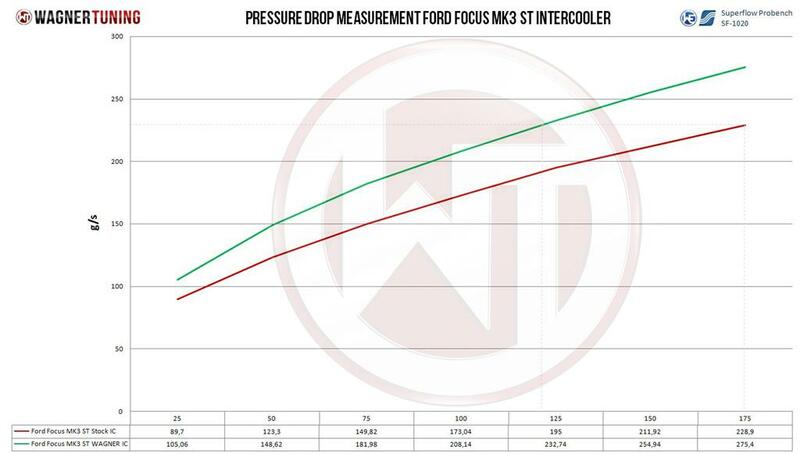 The Competition Intercooler has the following core size (640mm x 200mm x 110mm = 14.080cmÂ³), providing a 24% larger frontal area and 60% more volume compared to the original intercooler. Our engineers have increased the intercooler core size and efficiency, as well as improved the endtank design to remove any OEM bottlenecks, resulting in increased flow rating and charge cooling properties. 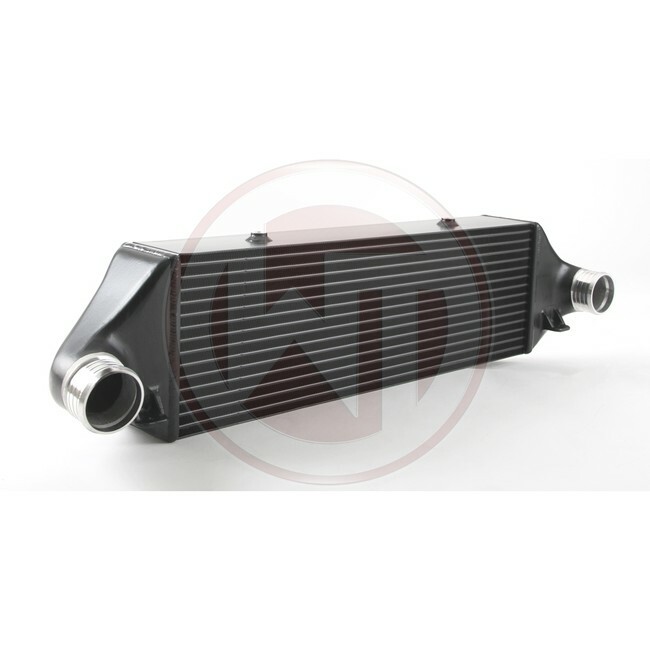 Competition Intercooler Core with turbulators (weight: 10,5kg). Constructed of the highest quality Tube and Fin intercooler cores combined with cast aluminum optimized by CAD. Flow analyses and simulations were created to optimise the design for best possible internal airflow. 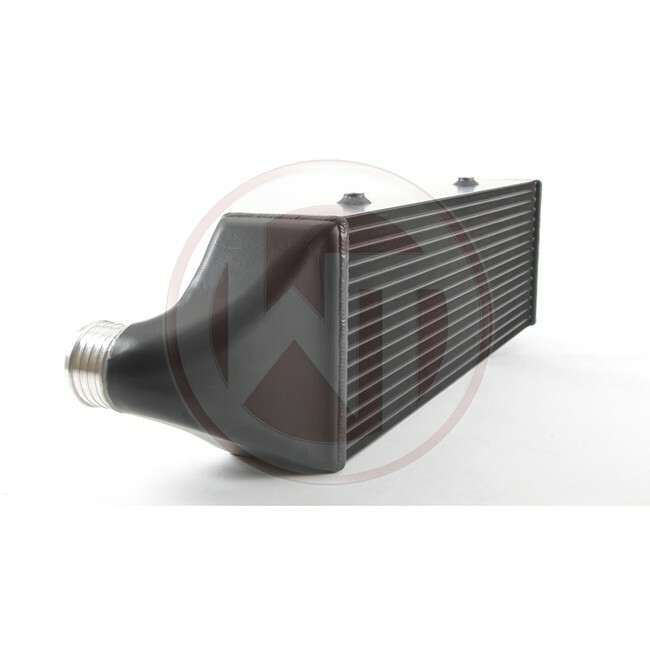 This intercooler is the best choice when it comes to performance gains and low intake temperatures. A lot less pressure drop then OEM Intercooler. Anti corrosion protective coating with perfect thermal heat dissapating character. Optimal cooling with clearly more power. Kit is ready for installation (plug & play), using the stock plumming. No cutting required. Fitment is easy, replacing the OEM intercooler. All of our products undergo rigorous quality control. On both sides the connection diameter is 65mm.